The makers behind the movie ‘Rabb Da Radio 2’ have released the official movie poster. After the huge success of ‘Rabb Da Radio’, the flick will be returning in the new year with original the original cast including Tarsem Jassar and Simi Chahal. Tarsem Jassar has had a strong year with good performances in ‘Rabb Da Radio’, ‘Sardar Mohammad’ and ‘Afsar’. 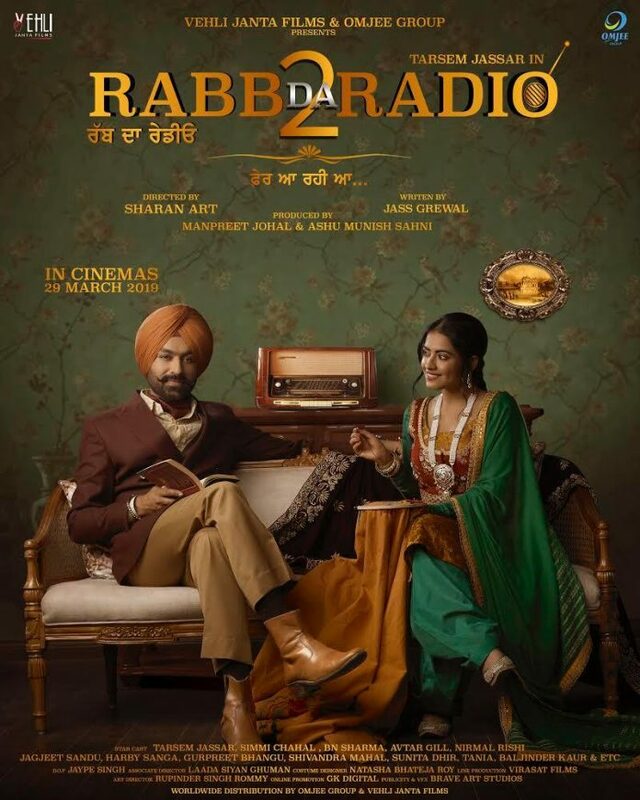 The Punjabi singer and actor will now bless the silver screen once again for the sequel to ‘Rabb Da Radio’. Fans have officially been given the first look of the sequel, and confirms that Simi Chahal will be sharing the screen with Tarsem Jassar. The main change of the flick is the director. The first instalment was directed by Harry Bhatti and Taranvir Singh Jagpal, however the second instalment will be helmed by Sharan Singh. The movie will hit cinemas on March 29th 2019!